EghtesadOnline: Tehran Stock Exchange’s main index gained 2,239.18 points or 1.64% on Sunday to end trading at 138,582.6. About 1.74 billion shares valued at $73.96 million changed hands at TSE for the day. Darou Pakhsh Holding Company incurred the biggest loss among all TSE-listed companies and went down 7.14% to 5,154 rials per share, Financial Tribune reported. Shahdiran Company was the biggest winner, as its shares went up 18.71% to 2,138 rials per share. Bandar Abbas Oil Refining Company gave the biggest boost to the benchmark index, followed by NICICO and Tehran Oil Refining Company. Persian Gulf Petrochemical Company was the biggest laggard behind the benchmark’s fall, followed by Jam Petrochemical Company and Iran Informatics Development Company. The Price Index gained 655.02 points to close at 40,535.6. The First Market Index was up 2,187.45 points to post 102,510.5. The Second Market Index added 1,881.02 points to reach 274,011.0. The Industry Index scored 2,141.40 points to register 127,248.4. The Free Float Index went up by 2,935.09 points to hit 147,314.54. The TSE 30 gained 150.14 point to settle at 6,870.6 and the TSE 50 ended 104.53 points higher to finish at 6,056.5. 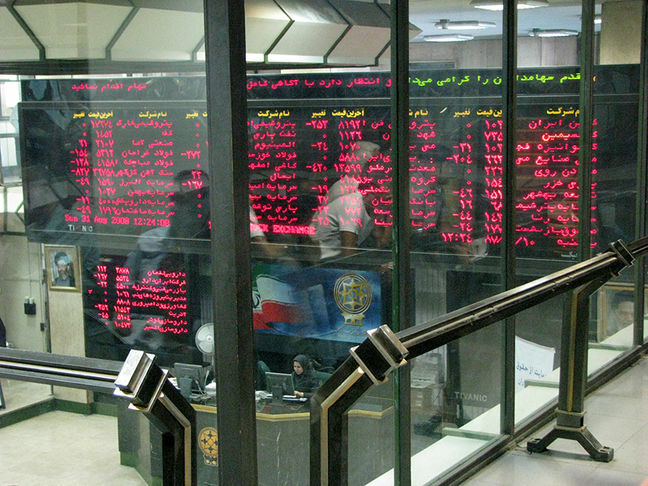 Iran Fara Bourse’s main index IFX went up 16.72 points or 1.08% to close Sunday trade at 1,561.78. About 828.74 million securities valued at $56.27 million were traded at the over-the-counter exchange for the day. Esfahan Steel Company had the highest number of traded shares and trade value, as 153.93 million of its shares worth $3.37 million were traded. Sobhan Fund, Rishmak Company and Binalood Neyshabur Animal Husbandry and Agriculture Company registered the highest value increase. Iranol Oil Company, Goharan Omid Investment Company and Shomalshargh Shahrood Industrial and Mining Company suffered the biggest decline in value. Zagros Petrochemical Company, Esfahan Steel Company and Shiraz Oil Refining Company had the most positive impact on IFX.